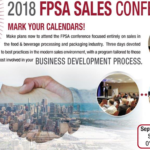 McLean, VA – The Food Processing Suppliers Association (FPSA) today announced the keynote speakers for the 2016 FPSA Sales Conference taking place September 19-21 at the Marriott Chicago O’Hare. Ken Thoreson, President of Acumen Management will open the Sales Conference with his presentation Creating Intensity, The Keys to Building a High Performance Sales Organization. This will be followed by Michael Nick presenting Millennials and Boomers, Bridging the Gap and Kelly Riggs who will present Quit Whining and Start Selling! Your 4 Biggest B2B Selling Mistakes. Registration for the 2016 FPSA Sales Conference is now open online with early bird pricing of $250 per person. Additionally, FPSA has negotiated a discounted room rate of $199/night at the Marriott Chicago O’Hare for all Conference attendees. For more information on the 2016 FPSA Sales Conference visit www.fpsa.org or contact Dolores Alonso, Senior Director of Membership & Business Development.  (dalonso@fpsa.org) or (703) 663-1226.